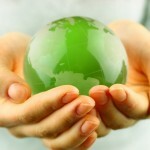 When we hear about green living immediately we tend to think of recycling. Green living though is not just about recycling. It involves a number of actions that each of us can take in an effort to reduce our carbon footprint either as individuals, members of an organizations or as employees of a company. Once all of us realize that it is in our hands to do what we can to reduce burdening the environment then we can take a number of actions other than just recycling to help our planet. Actions that can be taken involve reducing pollution, conserving energy at home and work, cutting back on consumption and minimize waste that we produce. Below are some small examples of what you can do in various ways to start up a green living life style that comes has no cost but actually involves financial benefits for you. Consider taking a walk to nearby stores or riding a bike instead of driving. For longer distances try the public transportation system. In case that you definitely need to drive to work consider car pooling. Motor vehicles are the number one source of air pollution in theUSAwith some estimates bringing it to around a third. In addition 30% of our driving around, according to studies, is not really necessary and can be avoided. Cutting back on car usage comes with significant benefits since you can save money and at the same time get healthier. Replace your incandescent light bulbs with Energy Star bulbs. According to Energy STAR if every household in theUSreplaced just one light bulb with an ENERGY STAR bulb, it will result to enough energy savings to light 3 million homes for a year. In financial term it would save about $600 million on an annual basis. Moreover it would reduce our greenhouse gas emissions by 9 billion pounds annually which is equivalent to taking of the roads 800,000 cars. Thus think about not just replacing one incandescent bulb at your home but replacing all of them. Switch off all electrical appliances such as TV’s, dvd players, computers from the plug before going to sleep or when you’re not using them. Even though they might appear as being off and not using any energy they are actually in a “standby” mode consuming energy equivalent to a 75 watt light bulb. Do you leave the lights on when you go to sleep? Stop using paper towels and start using cloth towels and sponges. First of all they cost so you can save money and at the same time can help save a tree! Solar power can significantly reduce your electricity costs. Get a free consultation on how generating your own solar power can lower your electricity costs.